Hi Babes! Mothers Day is right around the corner so I'm rounding up a few great gift ideas for her! All of these under $100 gifts would also make perfect birthday or graduation gifts. Nordstrom has an amazing selection of gifts and you can choose from all price ranges! These sunnies are my favorite! And what mom wouldn't love a nice pair of comfy slippers?! The Keihl's facial cream is the best! I think I may even have to show this list to my girls! Shop all of these items below! Such a good gift guide! I'm celebrating my first Mother's Day this year and I have my eye on those PJs!! Great gift guide! 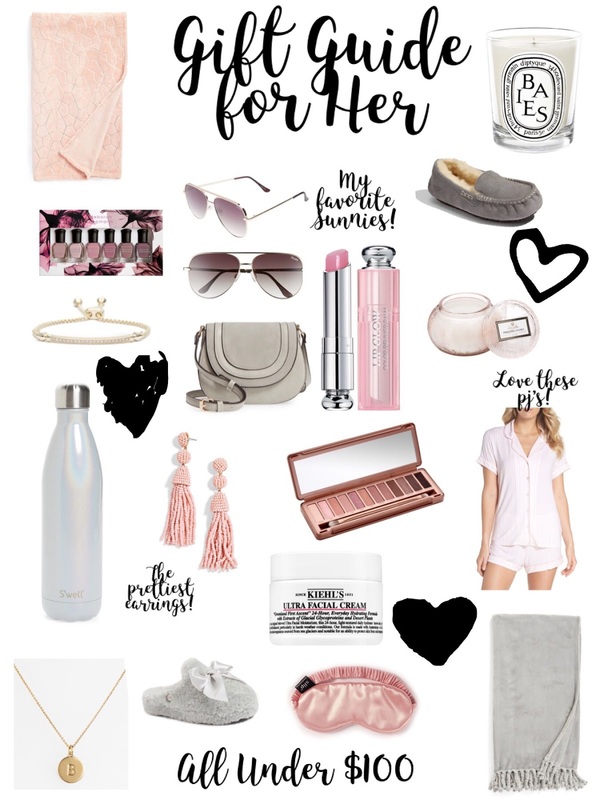 Love everything listed! This is a great gift guide. The sunglasses and bag are cute.